Shocking! Popular comedian turned hero Santhanam absconded! Santhanam has been stuck in a controversy, and a case had been filed against the actor. Following this, he had applied for an anticipatory bail and the case would come to the hearing tomorrow or day after tomorrow. It is also rumored that Santhanam has absconded. Santhanam and a builder named Shanmugasundaram had a misunderstanding in the financial issues. Shanmugasundaram’s advocate Premanand dealt with the case. 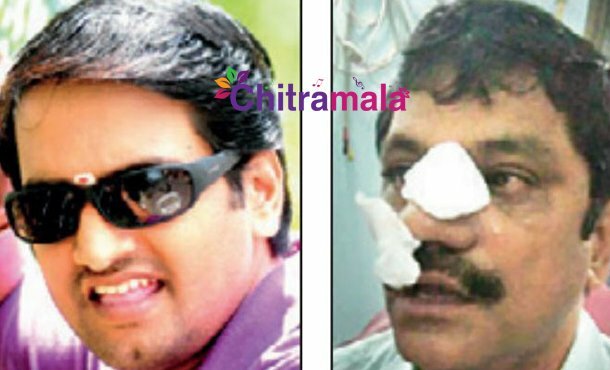 In a scuffle between the two, Premanand got injured and was admitted to the hospital. He filed three cases against Santhanam in Valasaravakkam police station. So, Santhanam applied for an anticipatory bail. In the professional front, Santhanam has been waiting for the release of Server Sundaram with Vaibhavi Shandilya. Two of his movies are under production, and they are Mannavan Vandhanadi directed by Selvaraghavan and Sakka Podu Podu Raja directed by Sethuraman.